Does the thought of Christmas stress you out? Are you more focused on your to-do list than the true meaning of the season? Do you stay up at night worrying about how you’re going to do it all? 1. 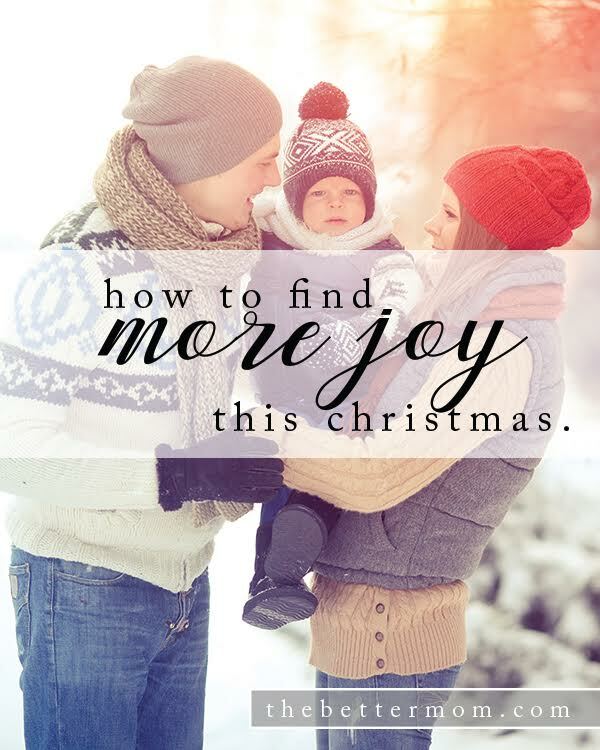 Focus on three favorite Christmas traditions, instead of trying to do everything. Trying to do everything will make you tired and overwhelmed. By choosing your favorite traditions you can take time to really enjoy them. The three traditions we chose were decorating the Christmas tree together, driving around to look at Christmas lights, and decorating sugar cookies. Focusing on a few simple things was more fun for everyone. 2. Lower your expectations. In our minds we picture our time together as a family reflective of those holiday Hallmark commercials, and we’re highly disappointment when we they don’t turn out that way. Realize that your kids will be messy when making cookies. Know that your opinionated aunt will still be opinionated at those holiday gatherings. Try to be realistic when making plans, instead of being a disappointment in the long run. Click here to read the rest of this post over at thebettermom.com!